Contains 70% alcohol and moisturisers, dermatologically tested. Cleans and refreshes with natural extracts of aloe vera. Available with belt clip and retractable lead, insures gel is always to hand. 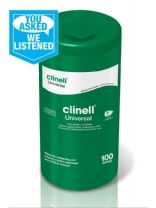 Wipes for surface disinfection and cleaning of non-invasive medical devices. Skin friendly, proven to kill 99.999% of germs including MRSA, Acinetobacter,VRE, TB, Norovirus, Hepatitis B & C and more. 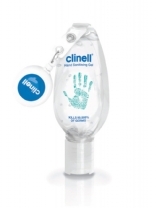 For surface disinfection and cleaning of non-invasive medical devices. 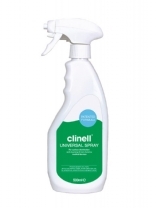 The Clinell Universal Spray is designed for sanitising hard to reach areas. Patented antimicrobial formula they can be used as a skin friendly, detergent spray. 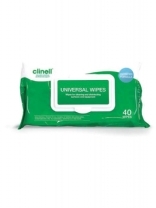 Wipes for surface disinfection and cleaning of non-invasive medical devices. Skin friendly, proven to kill 99.999% of germs including MRSA, Acinetobacter,VRE, TB, Norovirus, Hepatitis B & C and more. 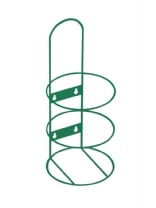 Wire Dispenser available for 100 tub. 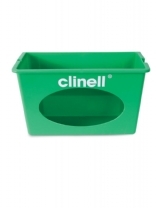 Clinell Wire Dispensers for Universal Tubs (of 100 wipes, see link below) screw directly into the wall, and provide a hygienic, convenient and easy to access method of dispensing and storing wipes. Their colour coded, powder coated metal frames are sturdy and durable. 4 x 250. 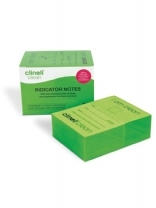 The notes provide a visible sign of cleanliness to staff and patients. Ideal for use on reusable and mobile patient contact equipment eg: chairs, units and drills. Provide visible assurance that an item is ready for reuse with another patient. No-residue adhesive back for attaching to equipment.